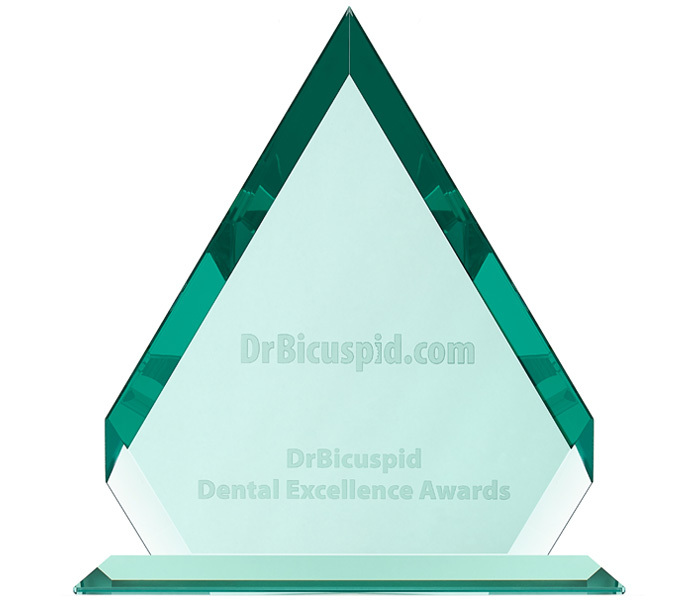 The DrBicuspid Dental Excellence awards recognize the best new products, services, companies, and leaders that set a high standard of excellence in the dental industry. Nominated by readers and curated by a panel of industry experts, the Dental Excellence Awards showcase those products and services that dentists have chosen to provide better patient care and run their practices more effectively. YOUR NOMINATION ENTERS YOU TO WIN ONE OF 10 $100 AMAZON GIFT CARDS GIVEN AWAY! See the rules for product nomination and voting.